Born in the city of Angels, Blu Heaven was established in 1999 in the heart of Los Angeles Fashion District. Since it’s opening, we have always strive to become the fashion leader in this fast paced industry by providing affordable clothing with high quality fashion trends and up to date unique designs. Here at Blu Heaven we feel that fashion is more than just the clothes you wear, it reflects one’s thoughts, taste and personality. Our line is designed and inspired to fit real people, real bodies and current trends. Blu Heaven large success in the apparel wholesale industry is due to the fact that all of our clothes are designed and manufactured by us directly. We pride ourselves in taking every single step in the process of our garments being made from fabric choice, design, pattern, fitting to final production of every garment. 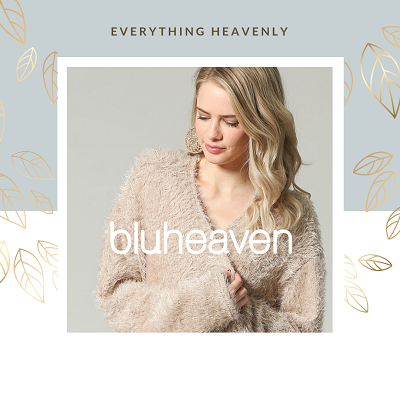 Blu Heaven offers a diverse line of products and can be found not only in department stores but also in online retailers and fine boutiques throughout the United States.